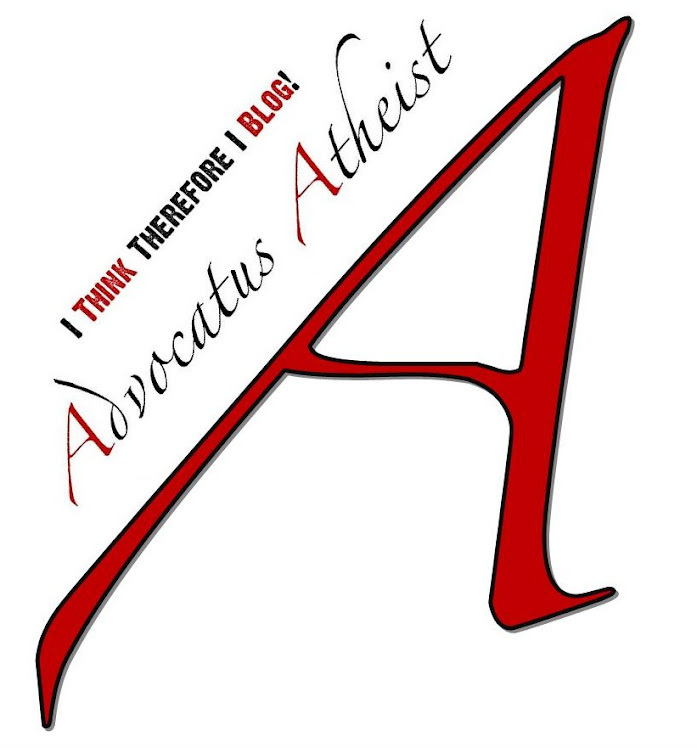 Advocatus Atheist: Conversations with Christians: All You Need is Faith? Conversations with Christians: All You Need is Faith? "Just have faith in God," said the Christian. "All you need is faith." "I thought all we needed was... love?" I replied with a hint of sarcasm. Not getting the joke, the Christian continued on in all seriousness, "No, you're missing the point. If you believe in God with all of your heart, he will give you proof of his existence! You will begin to see Him working in your life." "I don't think that's necessarily true," I replied (the stereotypical atheist). "Job believed in his god but, for his piety, got nothing but suffering, anguish, and turmoil encrusted with his own blood and tears in return." "That's just it though," retorted the Christian. "Job was a man of faith! He kept his faith through the worst of it. He is the example all believers ought to emulate!" "Really?" I asked. "Job? He's your role model? He's the one you think all believers should aspire to?" "Yes! Job's faith never faltered, never failed, it was true faith all the way until the end!" "First of all, Job was a pawn in Satan's cruel game of chess. Besides this, Job's own so-called loving God threw down the wager of the game, and the two of them toyed with Job as he his life had no intrinsic value or meaning, and they literally ruined him in their little depraved chess game." 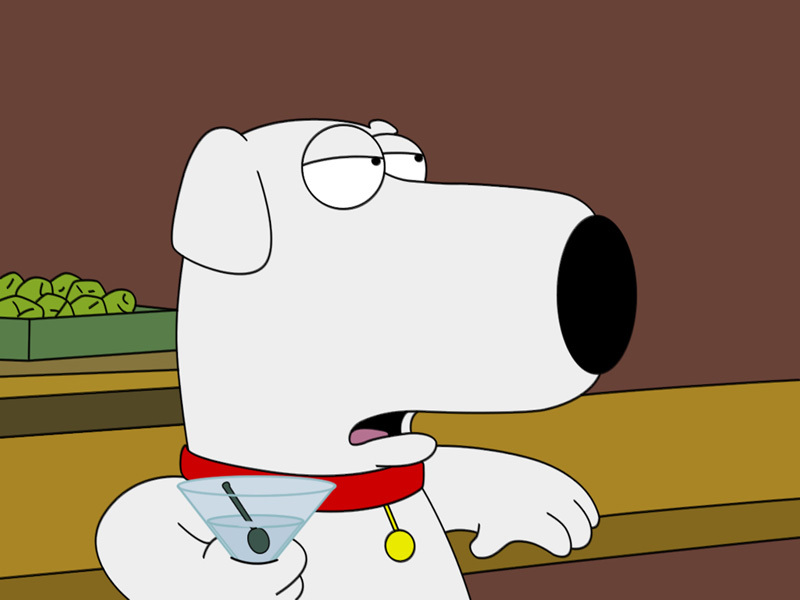 "You're just saying that because you're an atheist, and you have it out for God." "No, I'm saying that because I have read the book of Job, and that's what happens. You'd *know this if you actually read it." "Oh, I've read it!" said the Christian, somewhat defensively. "Well then, I have to admit, I am a little troubled by you trying to pry out a moral from the story of Job. It's total and utter degrading humiliation as a bumbling servant before a cruel master who wants to prove his greatness by showing that his authority has the power to keep even is most wretched subjects in line. A fine myth, but as far as weening morals from a story, there are a thousand better ones to choose from. Any of Hans Christian Anderson or the Brothers Grimm, for example." "No, you're obviously taking the moral of the story out of context." "Job was the epitome of faithfulness!" "Yeah, I get that, and that's what you keep saying, but to me that only shows how gullible Job was." "That's because you're an atheist, and you think all faith is stupid." "There you go making unfounded accusations again. You don't know whether or not I actually think all faith is stupid. I am pretty okay with Jainism. I admire aspects of secular Buddhism and Taoism. I have no problem with these. It's the retarded beliefs of revealed religion that I have problems with." "So what are you saying? That the Bible is retarded or that Job is a retarded story?" "No! To the contrary, I love the story of Job. I just don't read Job for the 'moral' of the story as I used to, when I was a believer like yourself. But I now read it for its historical remnants of early Hebrew myth, when the religion was still a Polytheism." "What?! The Hebrews believe in the God of Abraham and Moses, they believe in YAHWEH! They were never polytheistic." "Actually, yeah, they were. If you recall, one of the great problems with the Old Testament is that God's rival is Baal, and he continually chastises the Hebrews for paying undue homage to Baal. Baal was obviously thought of by YAHWEH as a real God." "But YAHWEH calls Baal a false god! So you see, YAHWEH was merely instructing his people not to worship or follow false gods." "You may want to look at the context of those Bible verses a little bit closer. 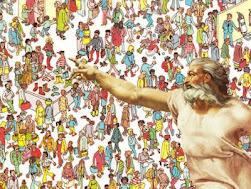 Moses states in Deuteronomy that, 'The LORD your God destroyed from among you everyone who followed the Baal of Peor, but all of you who held fast to the LORD your God are still alive today.' Moses, and apparently YAHWEH, do not merely view Baal as a imagined god, but a real threat! A real God with power over the Israelites. Those who choose Baal over the Israelite God must be vanquished. If Baal was just a false god, a pagan myth, then why is YAHWEH so bent on destroying something that doesn't even exist? Instead, in one of his exemplary shows of compassion, YAHWEH puts his own people out of their misery by sentencing them to death for the mere thought crime of believing in Baal! Mind you, this doesn't say anything as to whether or not they ceased believing in YAHWEH during that time, because, remember, they were polytheists! The Bible even says so." "Yes, but they were worshiping false gods." "When the early Hebrews, both Israelite and Canaan, worshiped El and Ashera, were they merely paying homage to false gods? Or did they not believe these gods to be real? I find it hard to believe that anybody would worship something they explicitly knew was imaginary. That's just not conceivable. But my point is the Bible isn't making a distinction between imaginary gods or real ones, it is talking about an allegiance to God vs. an allegiance to Baal. For all intents and purposes, the OT views Baal as real, as the opposition to YAHWEH." "I'm not exactly sure what you are trying to prove here. I know that the early Israelites worshiped Baal, and other gods, and Moses admonished them for it. They were even inventing false idols such as the golden calf. But there is only one true God." "What I am trying to say is, the belief in one true god is a later invention. But even the book of Job makes reference to Baal! In fact, it has many insights (historically speaking) as to the sorts of beliefs some of the early Hebrews held when they still held the belief in Ashera and the Leviathan as part of their pantheon of worshiped deities. The historian in me just finds it all so fascinating, partly due to the fact that it helps show how the faith has evolved. But most people don't read the story with any knowledge of ancient Hebrew mythology so they can't make the proper connections." "Are you saying Christians are stupid?" "No, I'm not saying that. That's merely an assumption Christians make when they feel their knowledge is inadequate when compared to that of someone with superior knowledge. But being smarter doesn't make you better. It just makes you better informed. Christians seem to take it personally because they despise the idea of other people knowing more about their religion and their bible than they do." "Or, it could be that atheists are just stuck up and think they're better than every one else." 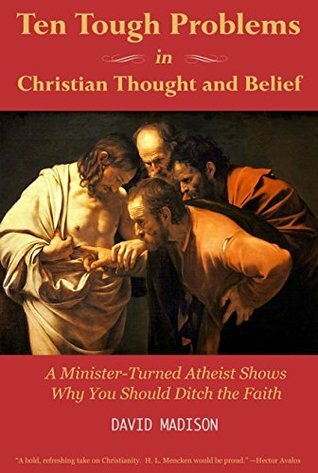 "I am not denying that there are many atheists like that, but then again, many of the atheists I know tend to actually know the Bible fairly well. In fact, many of them are atheist precisely because they know the Bible too well!" "They may know some about the Bible, but they always take it too literally. They're just as bad as radical Fundamentalist Christians. Not every Christian takes every verse literally all of the time." "I hear that a lot, and I understand Christians want to distance themselves from the bad habits and abuses of other Christians, but I don't think it's about making the case for or against Biblical liberalism so much as it is learning to understand which parts of the Bible are being literal and which parts aren't. I would argue that many of the Fundamentalist Christians are staying true to the original meaning of the Bible while more moderate or liberal Christians are going far afield, often times cherry-picking the text to death. There are certainly layers to the text of any story, but Christians often complain we atheists are taking parts out of context when in actuality we aren't. We're reading it according to how it is written, and interpreting it based on that reading alone. What many Christians seem to be doing is prying out other meanings by forcing the Bible stories into different contexts, or else superimposing interpolations onto the story, which suit the Christians need to have the Bible conform to their theological concerns." "I think we're getting off topic." "At any rate, It's not until thousands of years later that Christians mistakenly superimpose Satan, incorrectly I might add (due to an bizarre interpolation from the book of Revelation--never mind how they managed to get away with it), onto the pre-existing serpent symbolism. I find this relevant, because being fond of the book of Job, you will recall one of Yahweh's admonishments to Job was to ask if Job had the power to defeat the mighty Leviathan? As you can tell, I really do have a deep love and passion for these stories." "Yeah, I see that. I think I'm gonna go now." "I'm sorry, I know this conversation has turned into a history lecture. But I think we both learned something." "You mean, I learned something, right? Because I'm obviously too stupid to know anything. So I'm going now. Goodnight." "You needn't to take it personally. I'm not attacking your beliefs. I'm just filling you in on some very fascinating information that isn't contained in the Bible, even as there are distinct hints of what I am talking about. If you want to know the truth, you actually have to go outside of the Bible and discover it for yourself!" "Thanks for the thought. But if you don't get it, just move along. I'm done talking. Goodbye." See, this is why Christianity hates genuine knowledge. Knowledge brings understanding. If you knew that your religion was predicated on absurd myths, you'd likely get angry too. And if one's religion is absurd, what does that make their faith? But then again, one might get angry enough to go back and really dig into the material, and also search outside of the material, in an attempt to gain a genuine understanding of their faith, rather than a superficial one which consists of nothing more than convictions reinforced by what you were told by others. I know, because that's what happened to me. However, learning something on your own is hard, time consuming work, and it's definitely not easy. The way I see it, when it comes to learning, understanding, and truth there are two kinds of people in this word. Those who want to discover the truth and those who are too afraid to for fear of what they might find. The only question you need to ask yourself, is which pill do you take? The blue or the red?